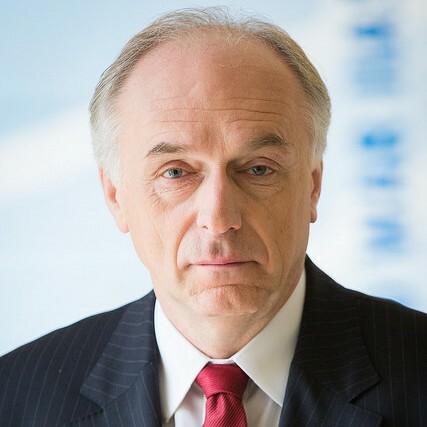 Professor Dr. Pavel Kabat is director general and CEO of IIASA, an independent, international science and science-to-policy institute with 23 member countries, more than 300 international staff, and a global research network of ~2,500 scholars and almost 300 partner institutions. He is also full professor of Earth System Science at Wageningen University in the Netherlands, founding chair and director of the Royal Dutch Academy of Sciences and Arts Institute for Integrated Research on the Wadden Sea Region (Wadden Academy), a member of the Leadership Council for the United Nations Sustainable Development Solutions Network, and cofounder of the Alpbach–Laxenburg Group. Kabat is an award winning mathematician and hydrologist, whose almost 30-year research career has covered earth system science and global change, with a specific focus on land-atmosphere interactions, climate hydrology, water cycle, and water resources. During this time he has authored or coauthored over 300 refereed publications, including nine books.